The Samway SMW04A002 is an IPMI based Shelf Manager designed for multiple architectures including CPCI, ATCA and VPX. The Shelf Manager watches over the basic health of the System Platform, reports anomalies, and takes corrective action when needed. It retrieves inventory information and sensor readings from all cards discovered and provides remote access to this information. The Shelf Manager can also perform basic recovery operations such as power cycle or reset of managed entities. 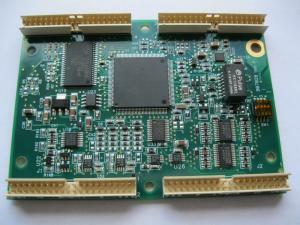 Dedicated carrier cards (for CPCI and VPX architectures) are available.